For our user’s convenience, we have recently gave our TimeTec Cloud profile page a makeover which you will find after our normal users/employees login page. You will find that we have added new data fields and categorize all of them for easy reading. In addition to that, you can now switch the display language for your viewing by selecting from Preferred Language column. We will be including more languages in the coming future. 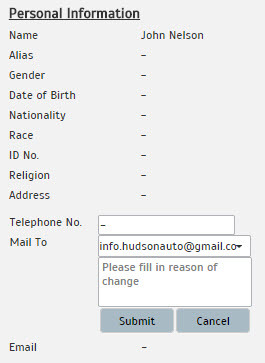 In the situation that you wish to change or update your personal information, just select the type of data to change and you can make the changes from there. For example, click on the tab and select Telephone no. The system will then unlock this field and you may insert or alter the information in this field. Besides the profile makeover, we have improved the profile page loading and query speed to serve you better. 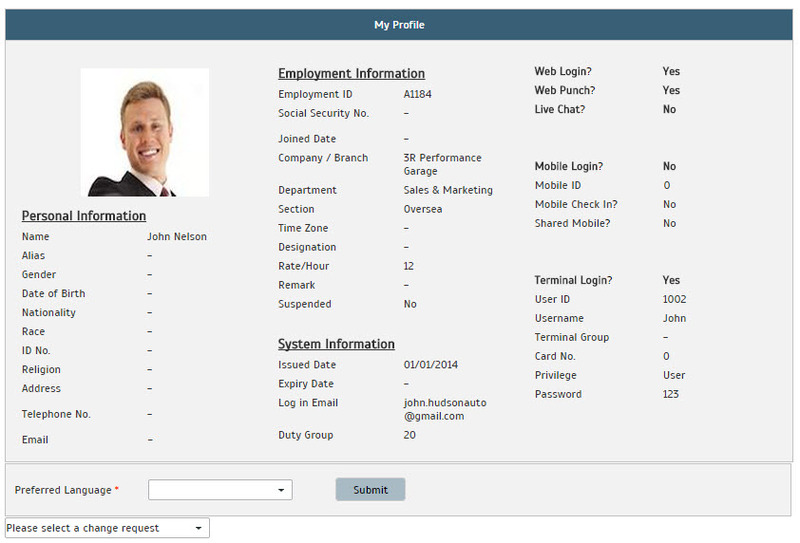 In order to display a report, select either Electronic Time Card or Tardiness report. After that, click Submit to collect your report details. In case you want the report to be from a specific date range, define the date range and the system will separate the unwanted data, leaving only the required details for you. We have simplified the Attendance page for normal users/employees. Prior to this, you may find irrelevant or duplicated information on the screen. We have rectified this issue and ensure that the page will only be displaying your attendance details. You can now select to view data for This Month without needing to wait until the end of the month for the data to be compiled. The system will automatically update the data on a day-to-day basis. You can refer to the Tips to learn how to fully utilise the My Dashboard. For the convenience of our Chinese and Indonesian speaking audience, we have added Traditional Chinese and Indonesian as one of the language options for TimeTec Cloud. 1. Resolved the issue of alert message display issue on IE 10.